Earlier last week, El was feeling sad. So we started writing a post including a poem to charm the snow out of the sky (which you can’t read because it will make you cry vomit). And then the curse of homework descended and that post didn’t get finished and got left in draft. 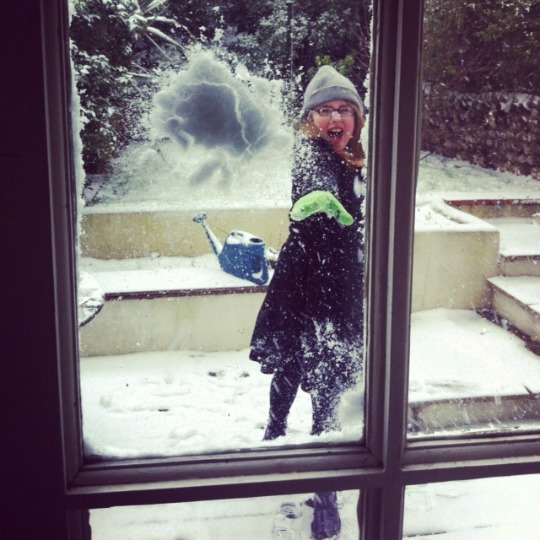 Today we read this post by Rosie Scribble where she confesses that her daughter also wished for snow. January 21, 2013. Tags: blame, kids, snow. Random wisdoms, Top Tips, Uncategorized. Ah but you see secretly all the grown ups were doing snow dances while you lot were all at school. We wanted you home with us, see…. January 21, 2013 at 8:31 pm. Permalink. February 4, 2013 at 10:46 am. Permalink.